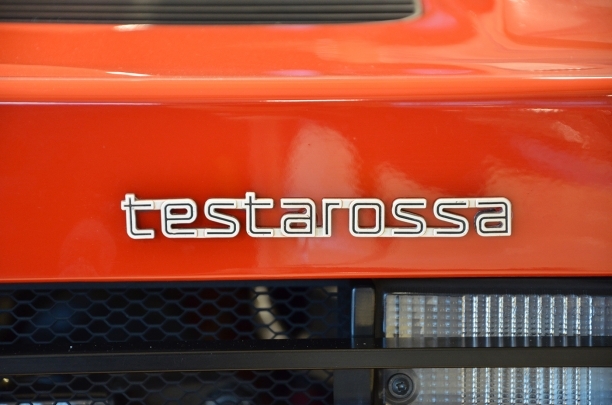 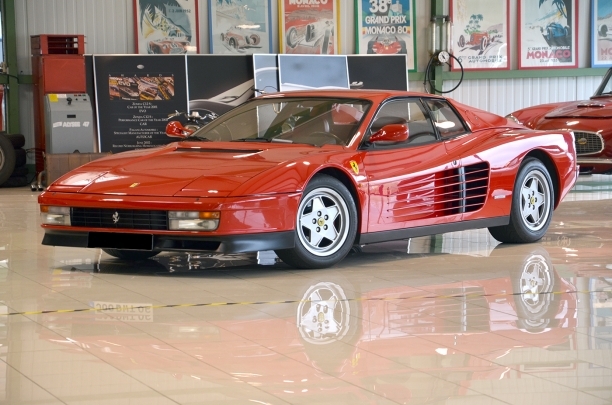 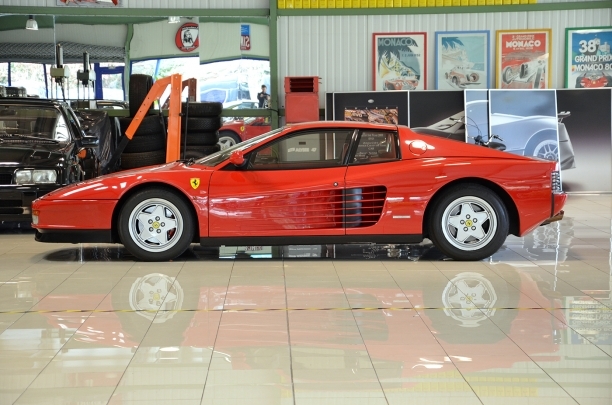 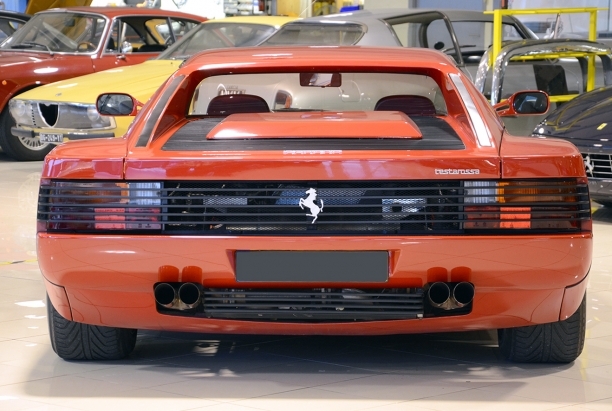 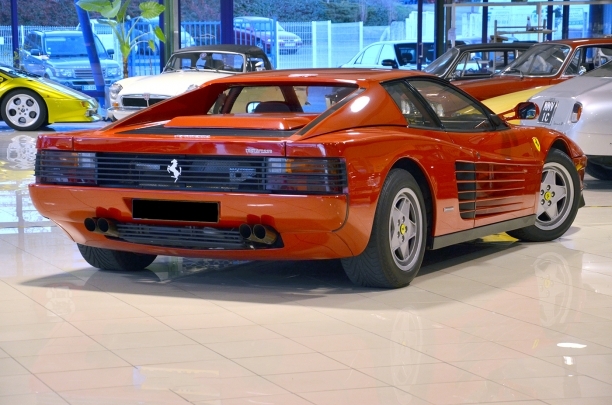 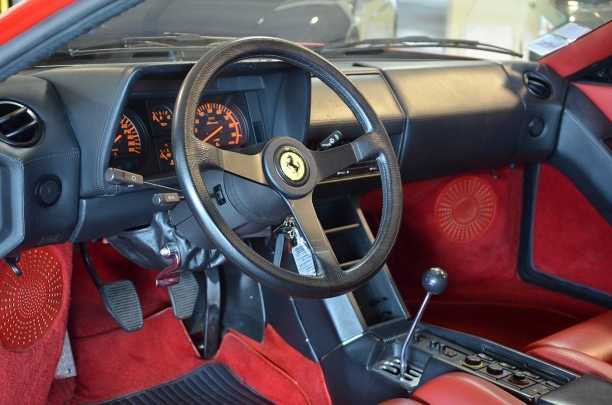 —Superb Ferrari Testarossa in a rare and lovely color combination of red with red and black leather interior and red carpets. 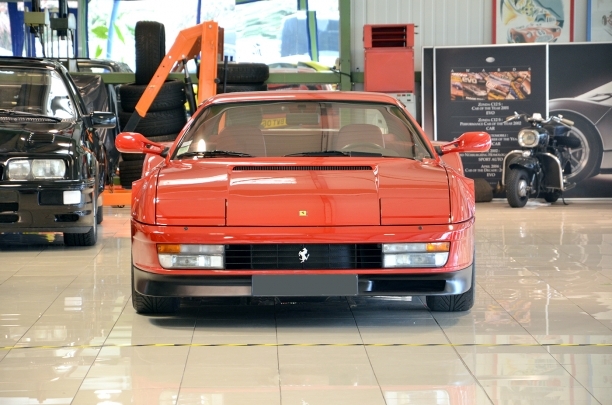 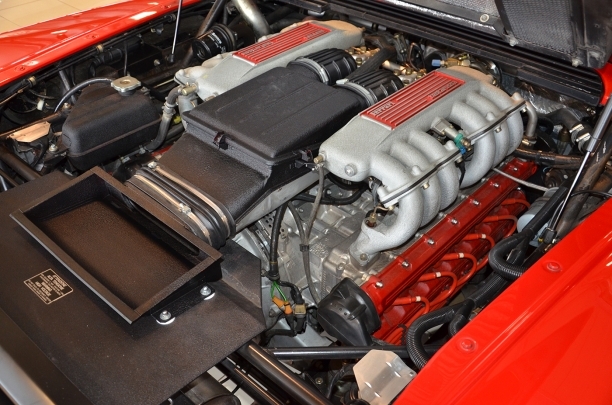 Strictly original with the exception of the sport exhaust in stainless steel, this car have a low mileage of 36 500 Kms. 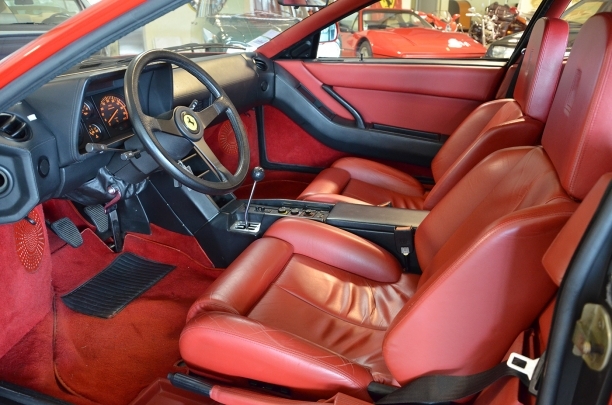 A jewel that gives you happiness when you are driving, it is powerful, bright inside with the red leather, and this is such an icon that you appreciate this Pininfarina design even when the car is parked. 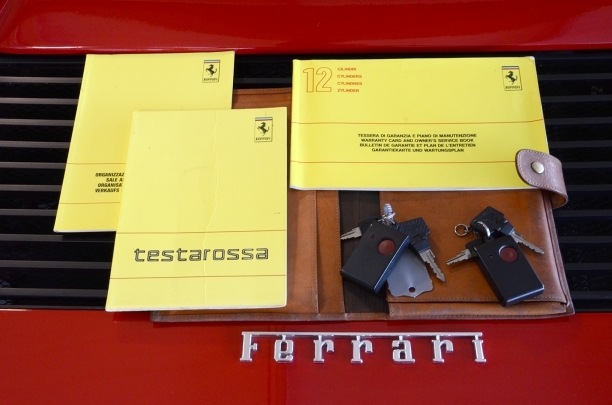 Delivered complete with all books in the original leather folio and tools, even a spare wheel.